There are a bazillion things that you can do in the Gold Coast that it’s impossible to go through one day and say that you’re bored because you didn’t have anything to do or you didn’t have anywhere to go. If you’ve told yourself (or any family member) the very same sentence while you were here, maybe you just ran out of ideas on how and where to spend your day. Not to worry though because we have a few suggestions that will guarantee you a one way ticket to FUN-ville on your next visit. The Currumbin Wildlife Sanctuary is a great place to visit and you can’t really have the I-just-visited-Australia experience without soaking in some nature and wildlife. If you are planning on doing that, why not do it in a totally different way. 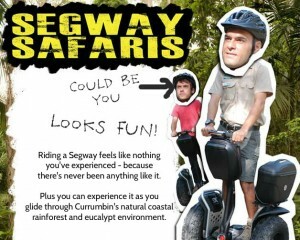 Join the Segway Safari. It could be your first, second or third time riding a Segway but we bet that you’ve never ridden a Segway through a coastal rainforest before. It’s similar to hiking while on tour but minus the walking (and the tiredness). 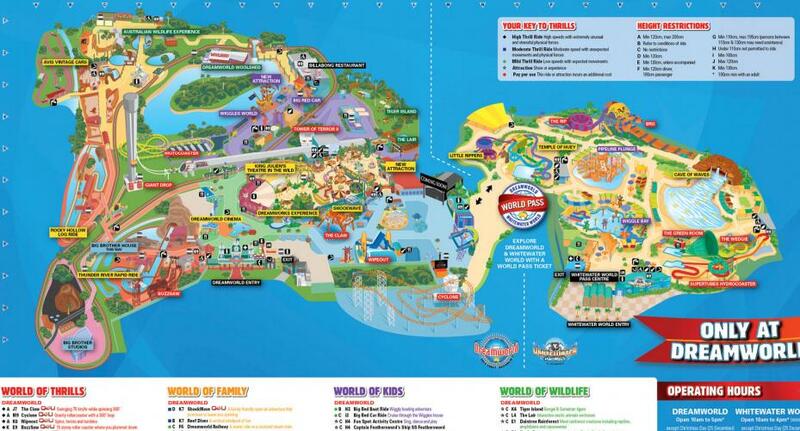 We know that there are loads of Theme Parks in the Gold Coast but the best of which would have to be Dreamworld. 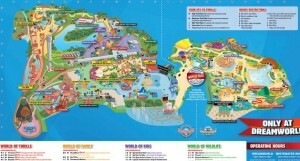 For reasons too numerous to elaborate, Dreamworld has always been included in the top places to visit in Gold Coast. Do you see how massive this place is? Spending a day here would be no problem. They open at 10:00am and they close at 5:00pm so we doubt that you can actually go through the 4 worlds (World of Thrills, World of Family, World of Kids, World of Wildlife) in that span of time. Just take your pick and then plan ahead so you can get the most out of your visit here. If you’re up for a dinner and a show with your entire family, head on down to Outback Spectacular. 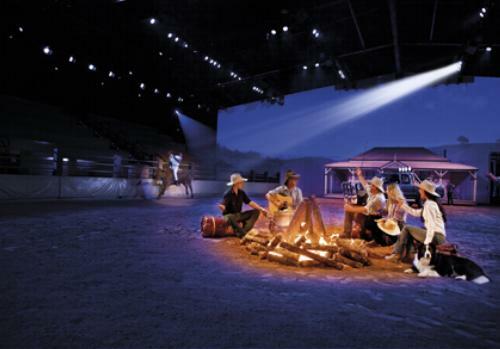 Trust us when we say that it will not get more “Outback” than this show. Expect to see an outback drama with a lot of outback music and a lot of outback action. Be entertained while having your fill of the 3 course Aussie BBQ that they’re serving (you can choose wine, beer or softdrink to go with your meal). 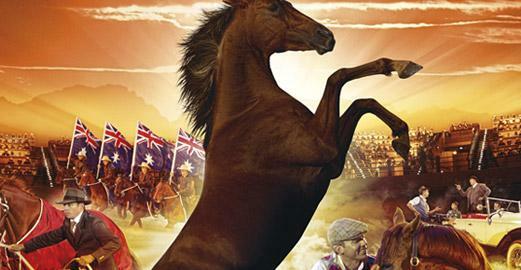 This is definitely recommended for first-time visitors to Australia. The show might be on the cheezy side but it’s still great fun for the whole family to share together. You get a wonderful meal and a great show, what more could you ask for, right? 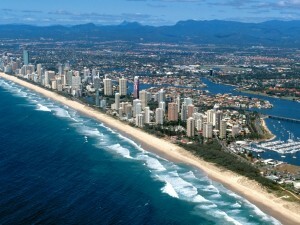 Every one knows that the best beaches in Australia are found in the Gold Coast. No matter where you’re staying at, there will definitely be a beach nearby with waves just waiting to be surfed on, with sands beckoning to be sun-bathed on. Why not spend one day at any of the beautiful beaches near you? You can spend the day swimming, meeting people, basking in the sun, eating ice cream and having all sorts of beach-filled fun. 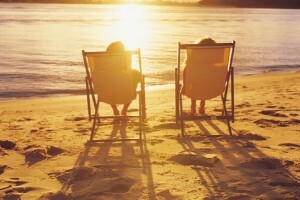 Then, maybe, you could wait for the sun to set and take great pictures for you to remember your trip. 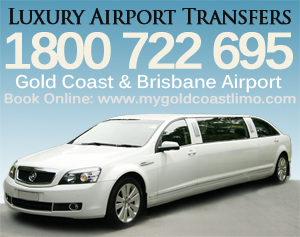 Those are 4 great reasons for you NOT to say that you’re bored while visiting the Gold Coast. 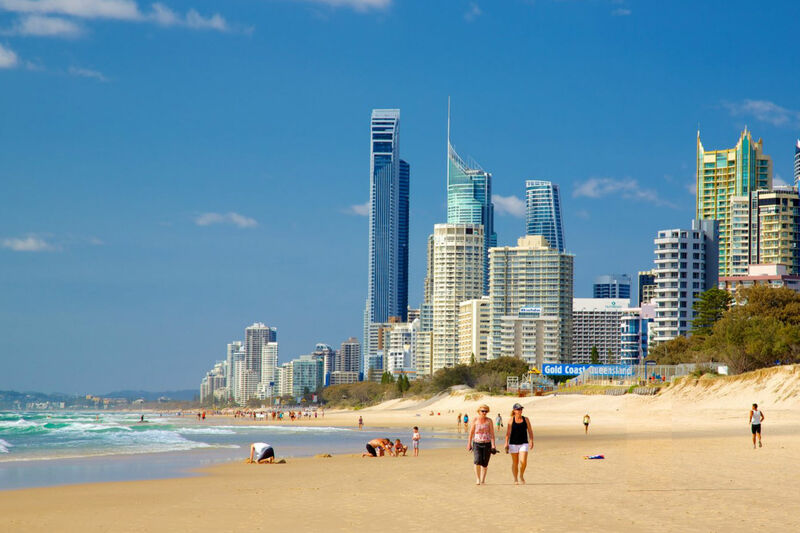 We gave you 4 ideas and that should be enough for now, BUT like we said, there are a bazillion things to do while your visiting Gold Coast so it doesn’t stop here. Stay tuned for Part 2 of this article.